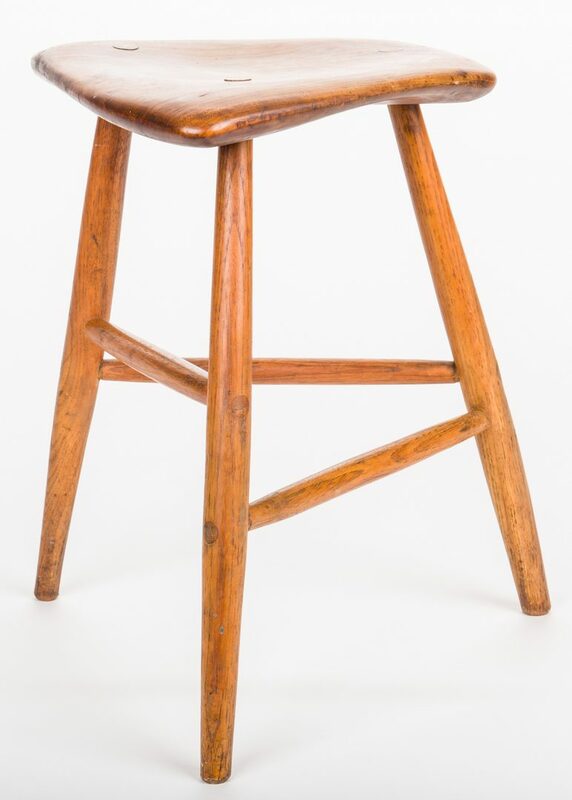 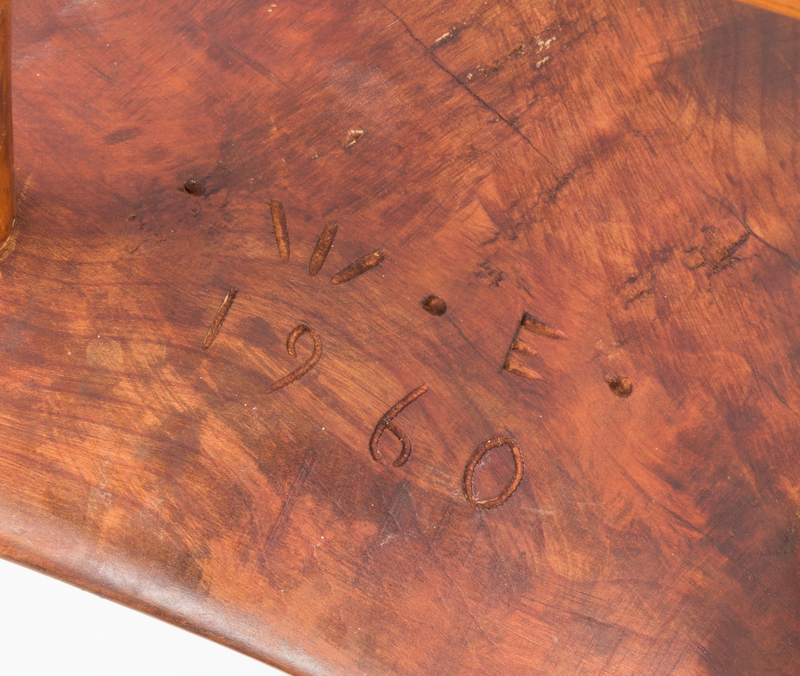 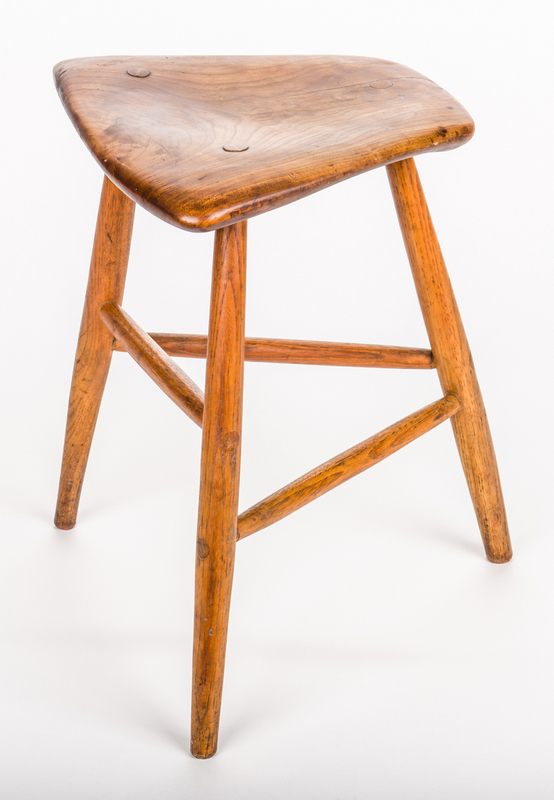 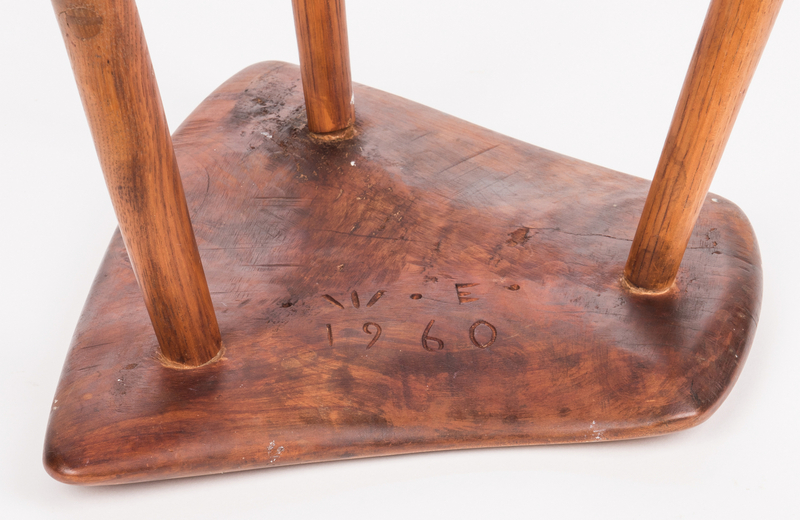 Wharton Esherick (Paoli, PA, 1887-1970) walnut and hickory three-legged stool in original patina with sculpted seat, through tenon construction, initials and date carved under seat: "WE 1960". 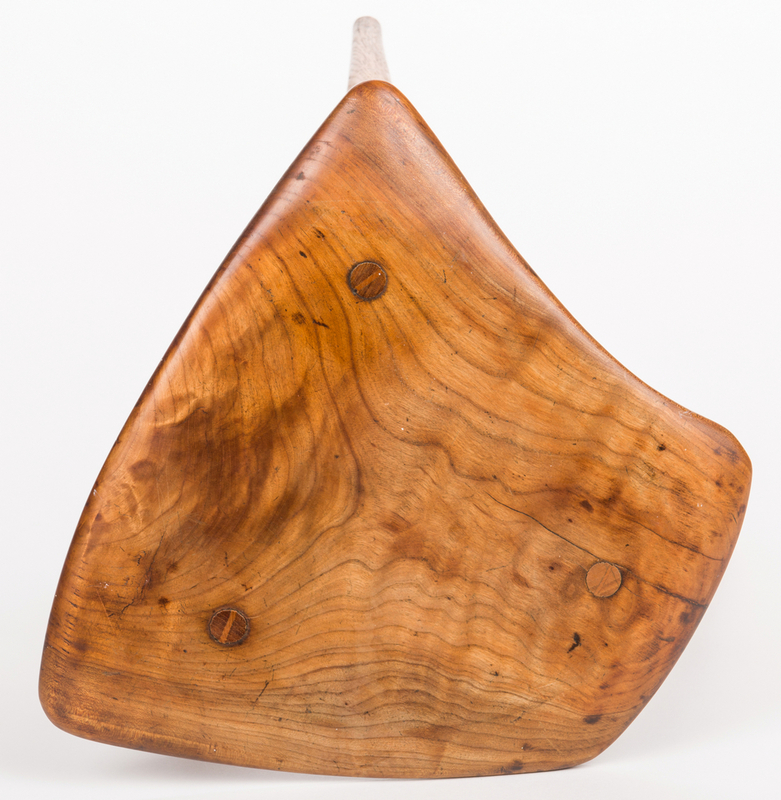 16-1/4" H x 13-1/4" W x 11" D. Provenance: Passed to the family from an Escondido, CA collector. 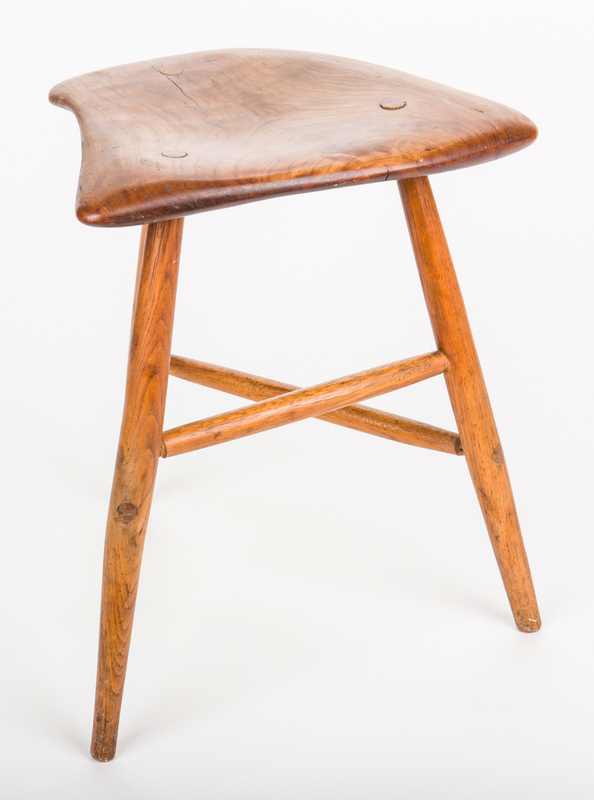 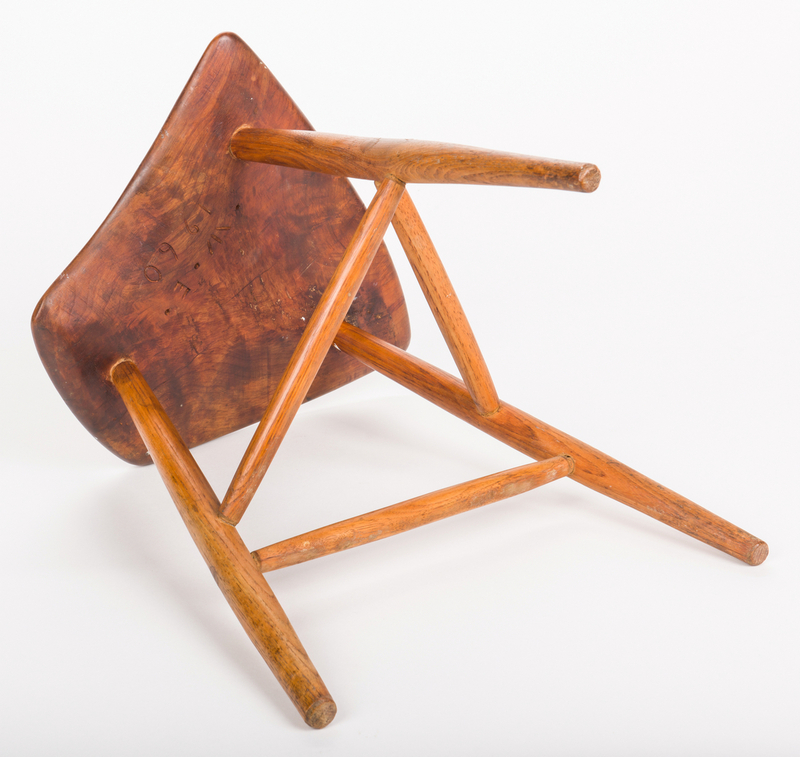 Biography (courtesy the Wharton Escherick Museum): Wharton Esherick has been called the link between the Arts and Crafts Movement and the resurgent interest in furniture making following World War II, the dean of American craftsmen and the foundation of the current Studio Furniture Movement. 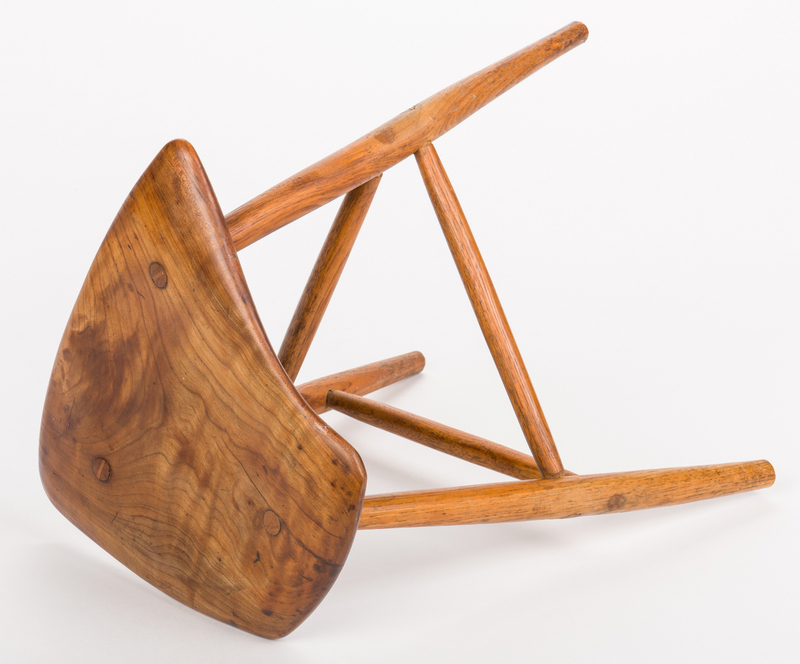 Trained at the Pennsylvania Academy of Fine Arts, he is most widely known for his sculptures and non-traditional furniture designs from the late 1920s and 1930s onward. 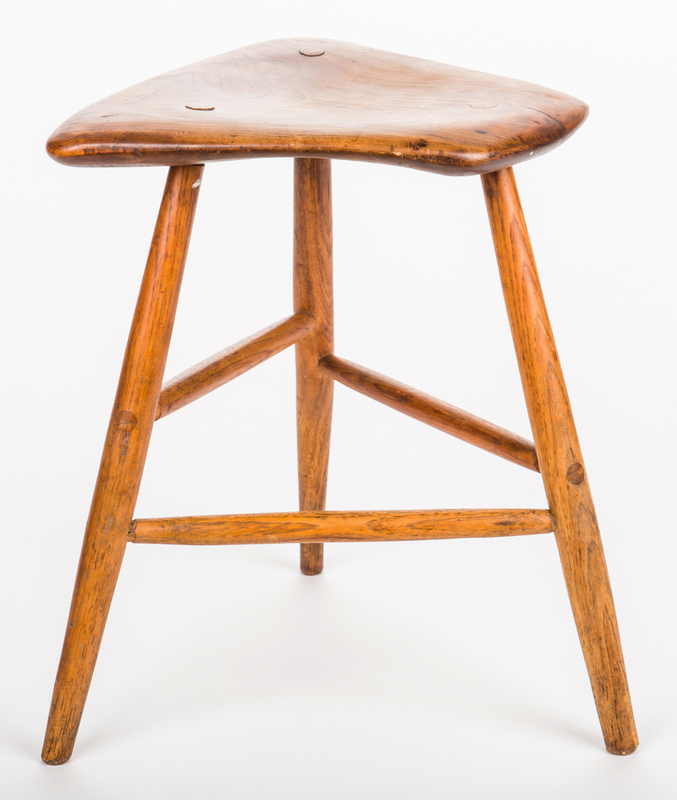 CONDITION: Overall very good condition with a couple of fine line age separations on seat surface including one near edge measuring 6" L and a second separation of 2 1/8" L. Two fine line age separations on underside of seat measuring 2" and 3 1/2" L each. 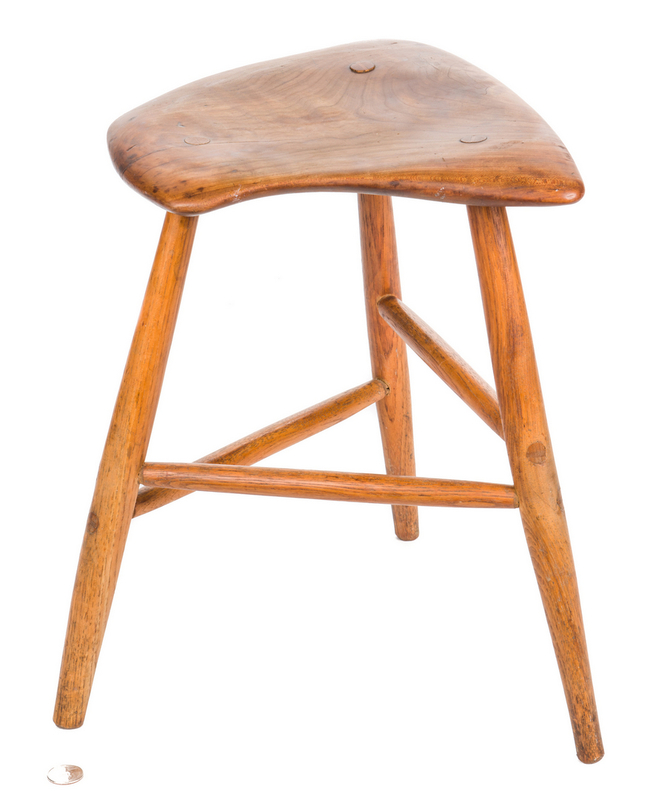 Few small (1/8" to 1/4" L) scattered white paint stains under seat.